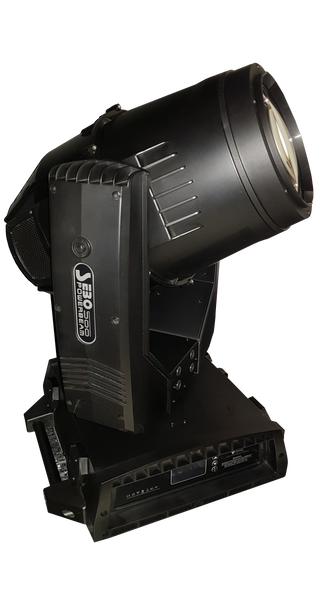 14 -different colour mixes, 16-fold facet prisms, as well as an excellent amplification effect, bidirectional prism rotation, Osram UHP 280W discharge lamp and much more ! 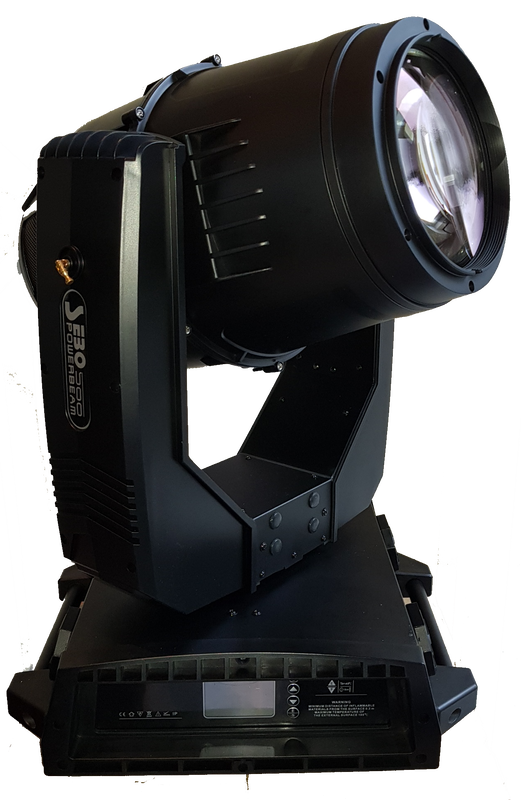 Fancy more power ? 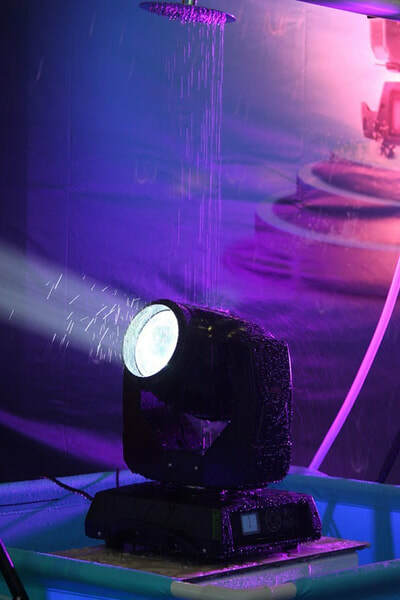 TB2 is equipped with a High-Power 330W discharge lamp and thus surpasses his predecessor TB1 by lengths when it comes to luminous intensity. 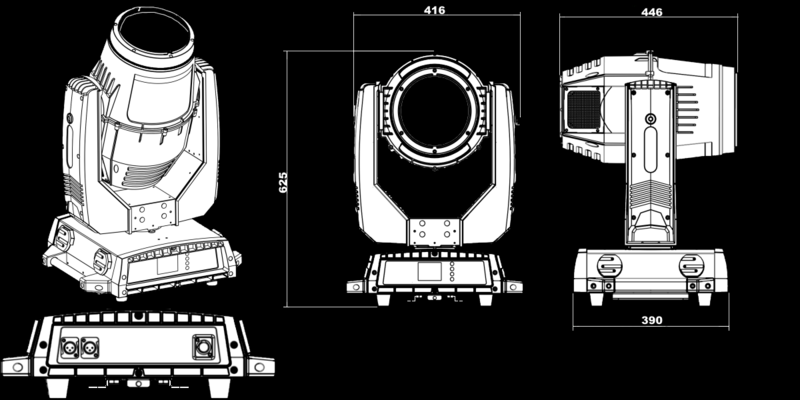 Its weight is about 25 kg. 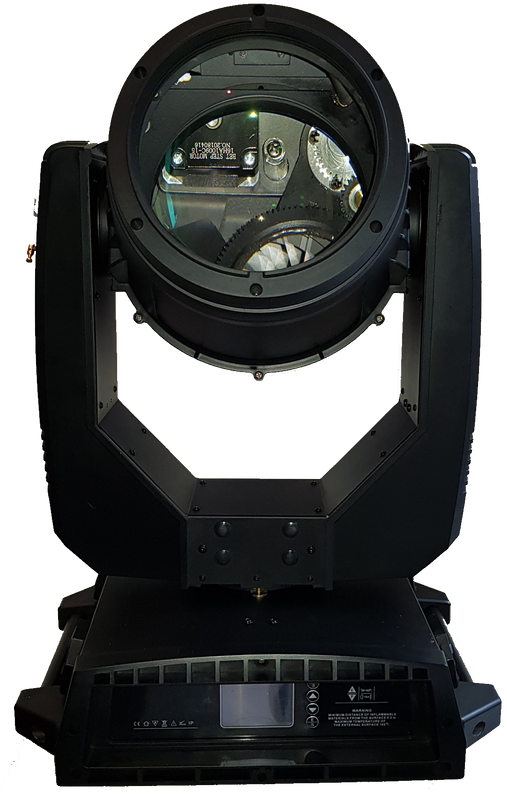 Both moving heads have the same housing dimensions and effect fixtures. 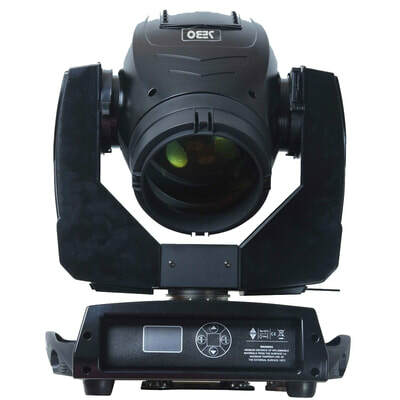 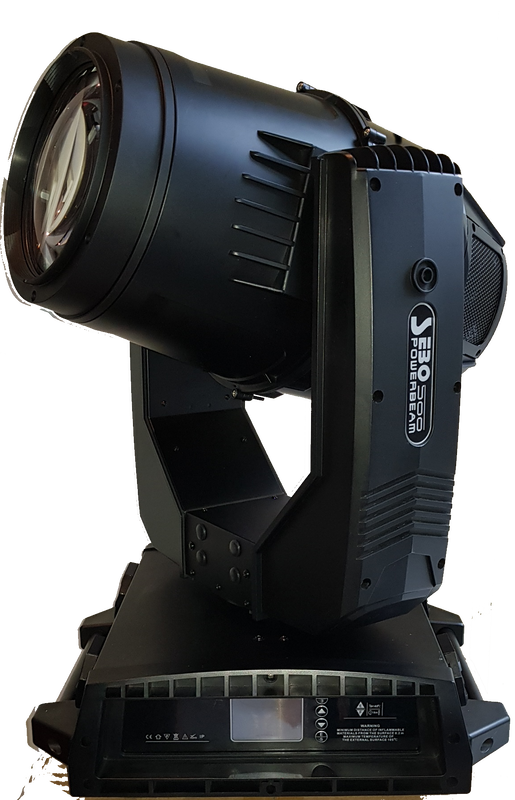 The flagship of our TB family is the TB3 Powerbeam 500, equipped with an Osram Sirius 470W desedimentation lamp, he is a fully-fledged moving head where the best possible options are practically standard. 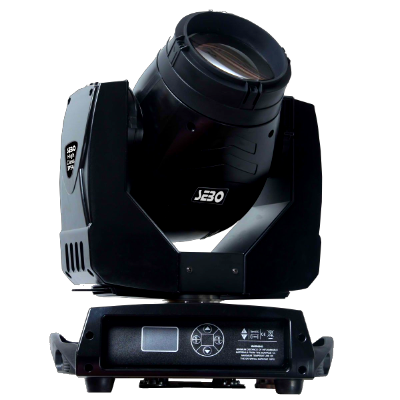 One of these outstanding features are 2-bidirectional 8-32-facetted prisms, which can be used to create a full-color prism effect. 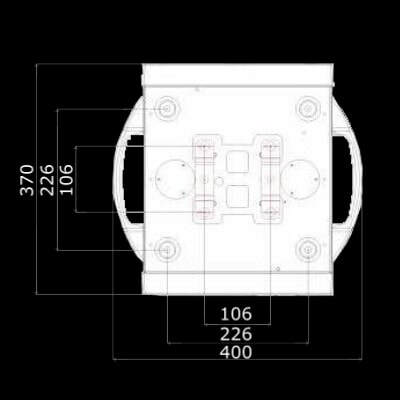 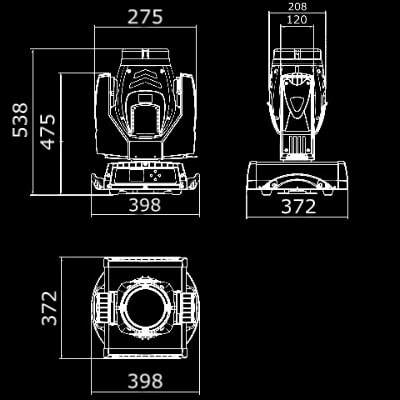 The TB3 Powerbeam 500 is designed to produce a collimated beam with virtually no variation in your custom shapes. Two gobo wheels, one with a total of 7 rotating glass gobos, guarantee clear, crystal clear projections and the conversion possibilities leave nothing to be desired. Choosing the right colour is easy thanks to use CMY or 11 different colour mixes. 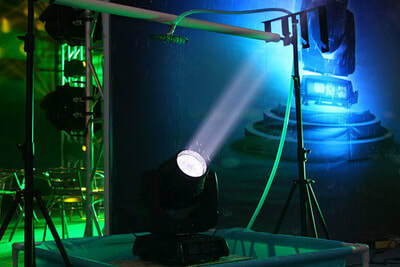 Its functions as beam, spot or wash make it an all-rounder that feels at home on all stages and events. All these functions and more, such as the touch display and the continuous, dual rotating animation wheel, offer the lighting designer countless possibilities to put his imagination into practice and create the most dynamic and fantastic light show ever.